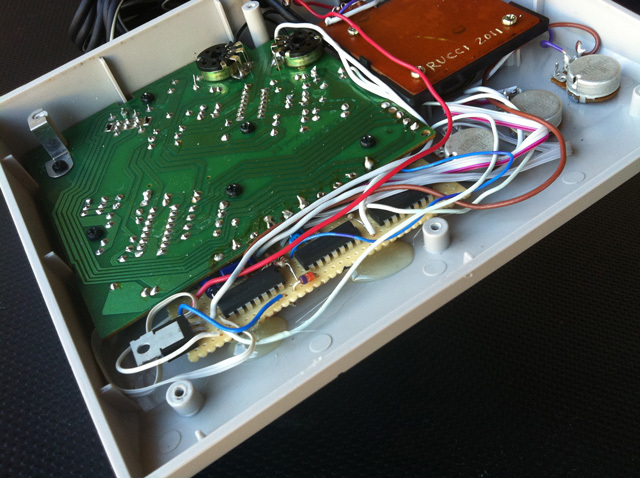 This device consists of three square-wave oscillators built into a NES Advantage controller. 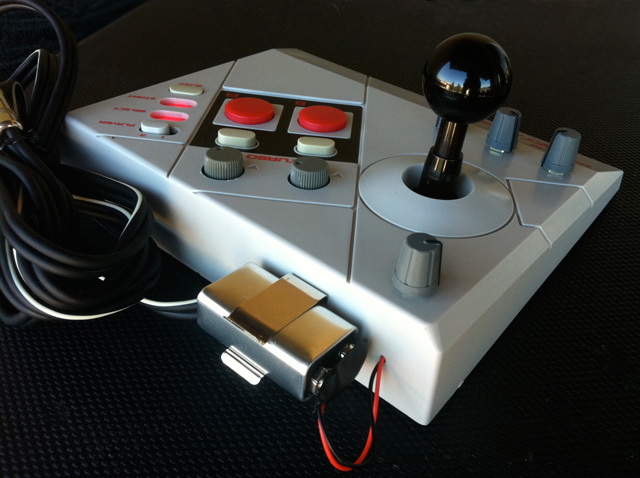 The joystick plays 4 pitches and the frequency spread is tuned with the first knob at the bottom. A and B control two additional oscillators with their own frequency controls. These also utilize the original TURBO effect which sounds like a stutter each with a on/off and speed control. The oscillators nicely modulate each other creating a wide array of noise. 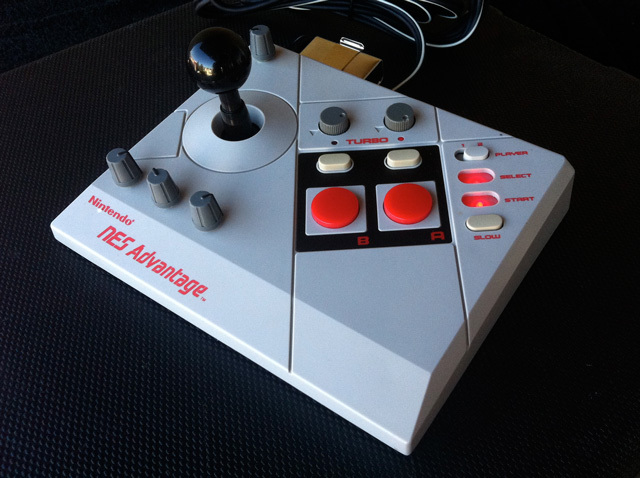 Player select has been repurposed as a power switch, select and start have been replaced by red lights, and slow works as a way to hold down the A trigger and free up a hand. There is a master volume control. Output is in the form of a standard 1/4″ jack at the end of the original cable. 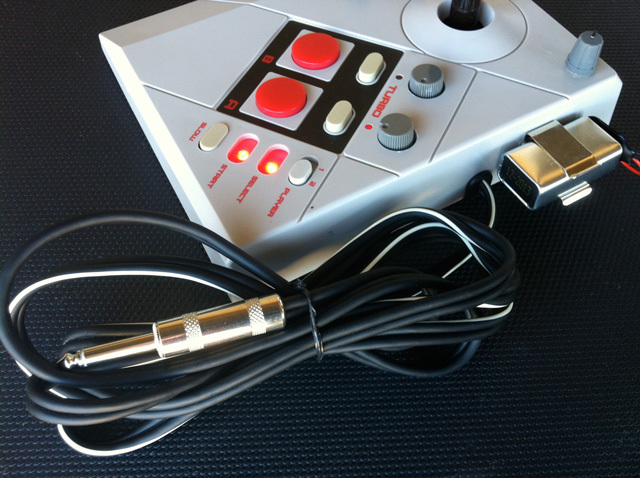 It is powered by external 9 volt battery.